Leading Exporter of cashmere scarve from New Delhi. 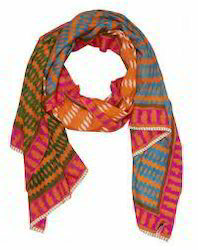 Broaden your style horizons with a tribal-chic accent like striped Cashmere Scarf. Simply letting this scarf hang over your shoulders or wrapping it around your neck will update any go-to outfit with fashion-forward flair. Looking for Cashmere Scarves ?